GoPro action cameras are loaded with the best features available that enable users to capture the most exciting action scenes wherever they go. These digital devices aren't only capable of creating high-quality videos in 4K resolution but also producing super-clear 12MP still photographs. When talking about video processing, GoPro has the effective editing tools that can help you produce the best video content in style. Even though the makers of GoPro have their own video editing app, wouldn't it be great to look for an excellent alternative that could also deliver the same results? 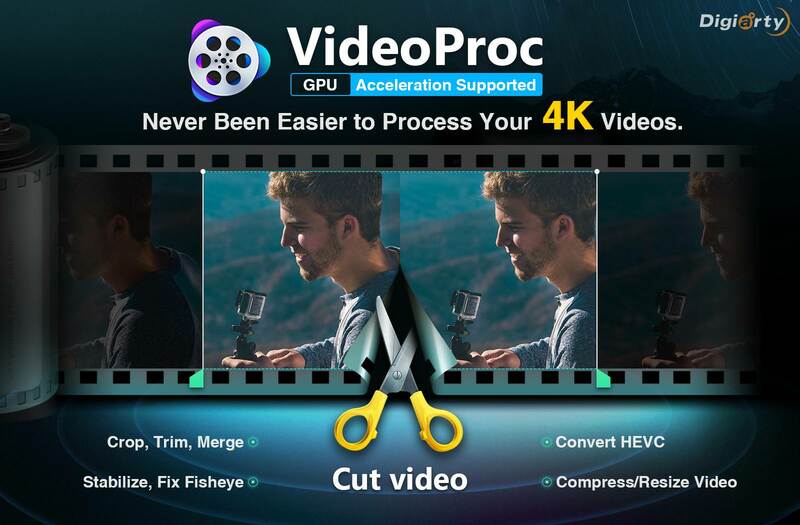 VideoProc - just as the name suggests, it's a video processing tool that's particularly meant to cater to the many needs of the GoPro users, but that's not the only trick up this video processor's non-existent sleeves! 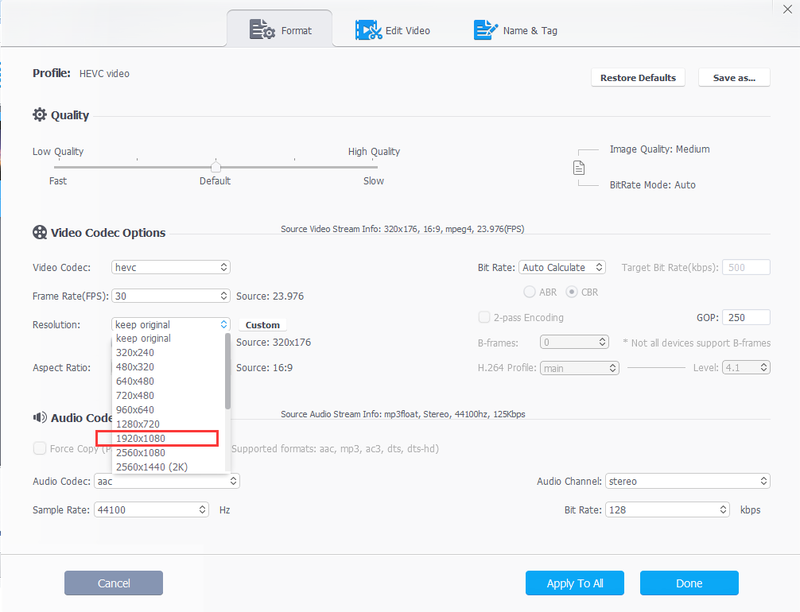 Why use VideoProc in 4K video processing and compressing? VideoProc is not a direct alternative to GoPro Quik, Studio, Windows Movie Maker, Adobe Premier Elements, iMovie...but a solid software solution to process and touch up large HD / 4K footages from GoPro cameras in an easier way. 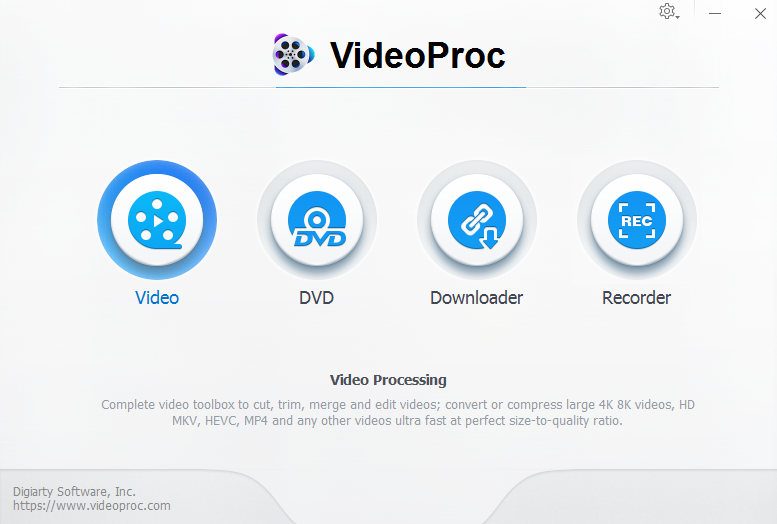 If you are into video processing, then you probably at least have a decent GPU in your PC, but no other video processing software takes advantage of that GPU like VideoProc. Instead of only taking partial assistance from your graphics card, you will be able to edit GoPro video files and process 4K video with Full GPU acceleration, which can increase the 4K video transcoder speed by as much as 47 times, while preserving 98% video audio quality of the original media file so it's the best software for GoPro iPhone 4K videos. Normally, a 30-min 4K 60fps video will devour the 32Gb iPhone, the video at the length of 1h48min can exhaust 64Gb memory space and 4 hours and a half will eat off the 128Gb iPhone space. Have some exciting GoPro iPhone footages in HD or 4K and want the best way to edit it? Try VideoProc to compress and reduce 4K video to store more videos. Besides, it has a wide range of useful tools and options that will help you make your GoPro film truly professional - Delete unwanted elements in the footage, insert smooth animated transitions between video segments, apply a slow-motion effect to emphasize the most spectacular moments, add background music, and more! Start making your GoPro movie right now - download and get VideoProc full license for PC or Mac and follow the editing tips in the tutorial below. Step 2, Add your GoPro iPhone 4K video to VideoProc. Step 3, In the Target format, you can find all the popular video formats. Choose H.265/HEVC, if you are using the latest iPhone supporting iOS 11 or other mobiles upgraded to Android 5.0. The HEVC codec will half the video file size with even better quality. Step 4, Decrease the video resolution to 1920x1080. Reduce the 4K video size, you can also decrease the video resolution to 640x480, which is acceptable by iPhone, and even other mobile devices. Step 5. Save the format adjustment, and then click Run to start the 4K video processing. The in-built GoPro iPhone editor in VideoProc is not only limited to editing 4K video shot from a GoPro Camera mind you, because it can handle any 4K video (all other resolutions are also supported of course) via any other devices such as DJI, iPhone, Android smartphones, camcorders, digital cameras, DSLRs, etc. as well. Nevertheless, VideoProc is particularly useful for editing GoPro videos to remove all that shaking and blurring which inevitably becomes part of the footage when you are using a GoPro camera on the move. 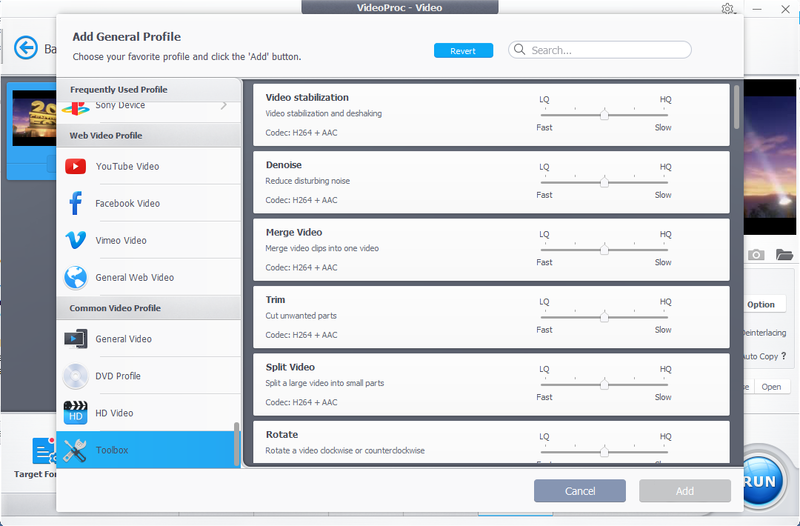 There's also the option to remove fisheye, or merge multiple clips together to form one complete video. Al the edit feature can be found in the Toolbox. Do you shoot and edit videos often? Do you own a GoPro camera or any other device that you use to capture high-quality videos? Do you feel that the current video editor and processor you use doesn't really have all the features? Do you lead an active life and love recording your days? If the answer to even one of these questions is yes, then you should definitely try it, especially since you can now download VideoProc with free license code! Moreover, everyone who downloads the video processor will also be able to enter the VideoProc New Release Celebration sweepstake and stand a chance to win GoPro Hero7 and accessories.